there is something incredibly amusing about using a box of celebrations as a sewage tank. very nice work though, and that will be one massive mofo of a LOS blocking bit of terrain! love it. excited to see more! There are two reasons to like this... one is that its a great piece of terrain, the second is that it gives you an excuse to eat a whole box of Celebrations... You should probably try this out with a box of Heroes and a box of Roses just to make sure that there is no difference as a result. 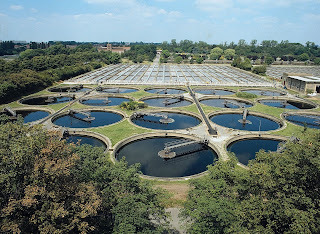 LOL, i could have the most awesome Sewage Works 40K table in the land, but also be the fatest gamer in Britain! I've actually finished painting this today, so provided i get the post organised, it'll be up on here tomorrow! Looks good. Nice and simple. Looking forward to seeing it finished.